In which I find some truly lovely fabric. I’ve made a real effort to make the things that I really want to do (mainly creating for myself and for fun) a priority. No matter what, (unless I’m so busy I can’t think straight) if I’m home, I’m working on sewing something. And if I’m on the road, it’s knitting and drawing, etc. So sometimes it surprises me when I look back at posts here and realize that nothing I’ve made for myself for a while is visible! It’s time to catch up a little bit on sewn projects, especially with Me-Made-May’14 right around the corner. 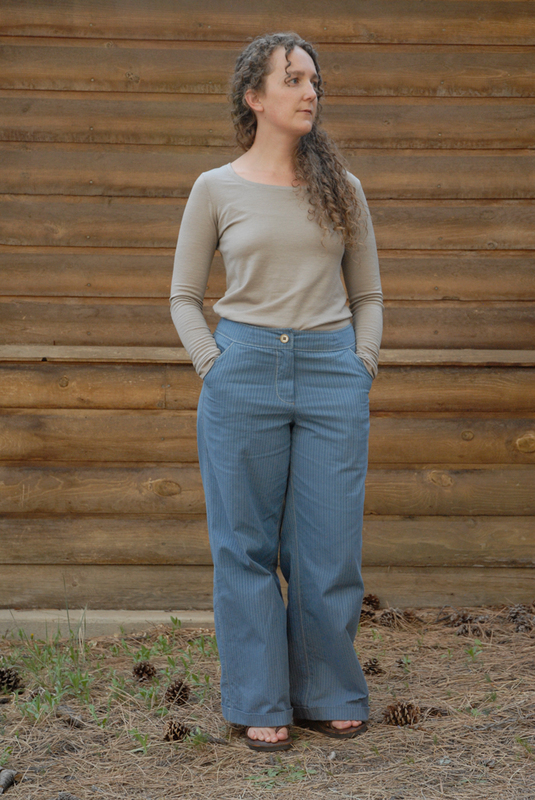 I think I’ll talk a little bit about the tops here first (and save the pants for another post) mainly because there’s not a whole lot to say, except about the fabric. Last fall, I stumbled into the fact that a fabric store called The Fabric Store, based in Australia, had just opened a store in LA. This meant that a whole bunch of New Zealand merino knit fabric was suddenly within reasonable shipping distance of my house! And, AND they had organic merino knits, something I have been searching for, as a way to hopefully buy wool which is raised responsibly. (If any of the lovely USA-grown-made-processed yarn folks are reading this, some of you should mill some fabric!) Anyway, The Fabric Store doesn’t have direct online ordering, but if you call or email them, they will find out what you’re looking for, and send you several lovely cards of generous swatches. 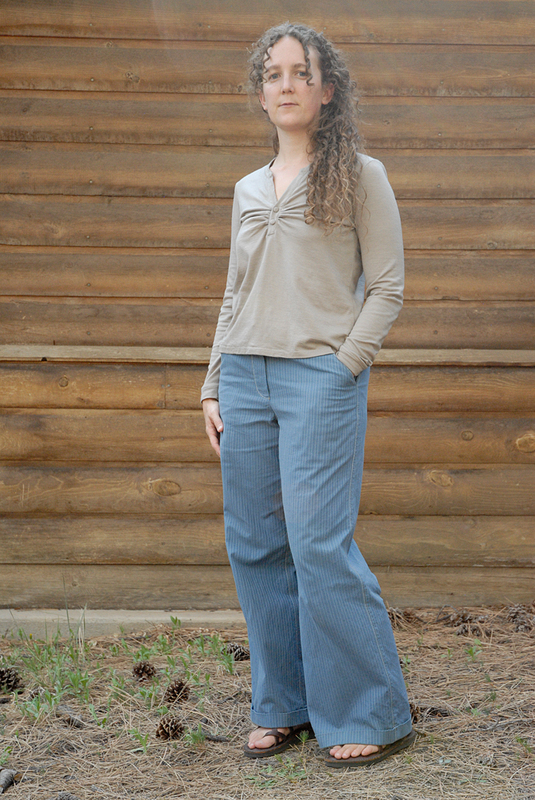 I chose organic merino knit in the “mushroom” color, and I love, love, love, this fabric. It’s soft, it has drape but it also has body, and great stretch and recovery. There’s something substantial about it that just says “wool” (I love wool) and it has a subtle sheen to the right side which makes it look just a little special. 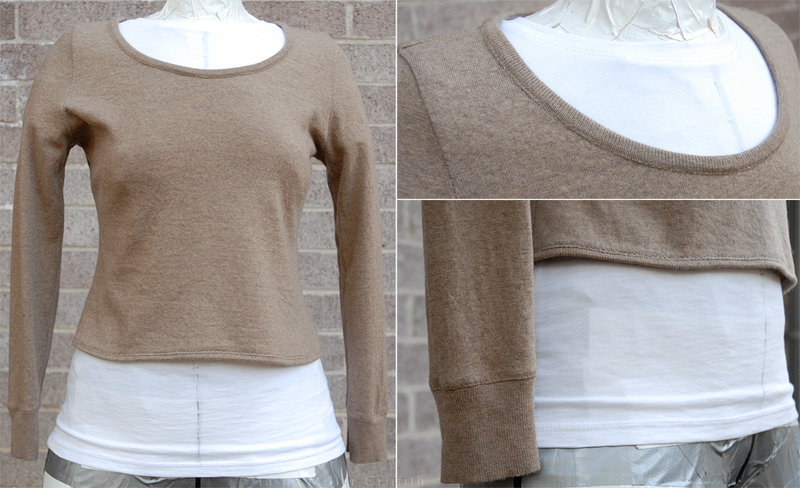 When it arrived, I was in desperate need of a few more long sleeve tops for winter, so I made a simple T-shirt style first. In this fabric, my pattern (the same one I used for these tops) is just the tiniest bit tight/clingy (you can see my cami straps, which is not my favorite thing) but boy, it is a terrific layer for winter. And spring—I’m wearing it as I type this! The second shirt I made just a little more complex, using another pattern that I copied from one of those lucky thrift store finds with fit and style I love. In an ongoing experiment to see if I can get knit shirts to more closely follow, and still flatter, my shape, I tried dividing the pattern into princess lines in back, so that I would have two extra seams to add width over the hips. If I do this again, I’ll curve the lines more so that they come in at the waist, and then out again, yes? And I have fabric leftover! 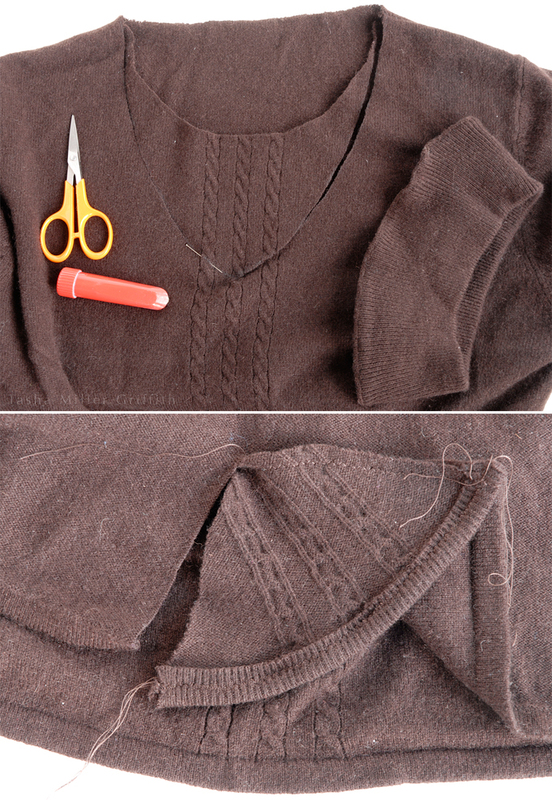 Somehow, despite an earlier failure to squeeze one uninterrupted long-sleeve knit top out of one yard, by careful placement and a somewhat generous cut, it looks like I will get 3 tops out of 3 yards of this. I was debating maybe dyeing the last top’s worth, until Bryan mentioned that he liked the way this color looks with my skin. That settles that—I’m looking forward to making another style, same color, this coming fall. I wore this exact outfit, new top and pants, on both our way out to Texas AND my flight back. 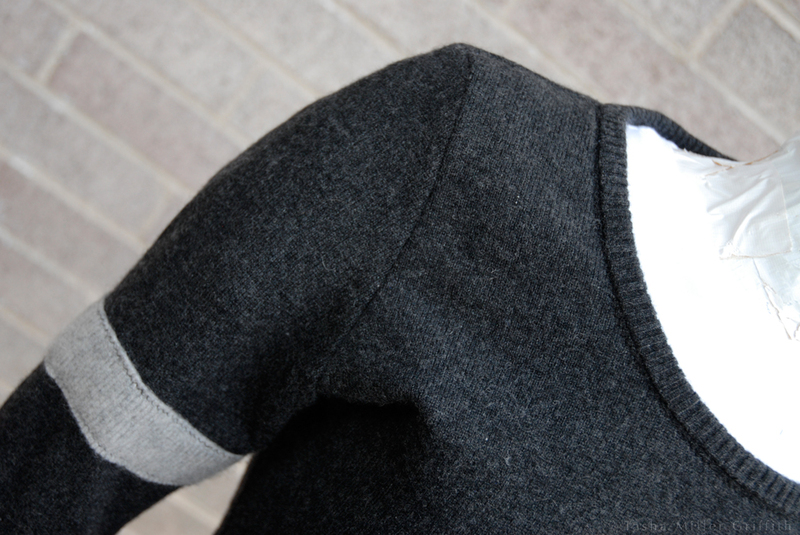 It’s just really versatile, comfortable, and perfect for the varying temperatures of spring. More about the pants coming soon!